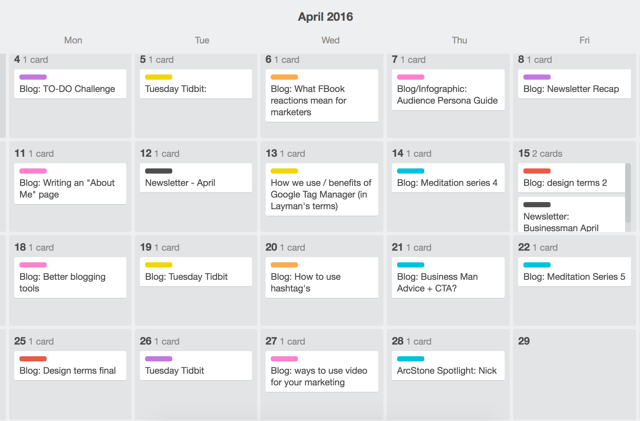 Two years ago, right around the time I started my position here at ArcStone, we decided to kick off a content marketing marathon of sorts. In writing this post, I hope to inspire your team to invest some energy into your content strategy, recognizing its potential to grow site traffic, increase sales and teach you a thing or two about your company. *Note: We are a small team. I often come across posts that talk about their awesome content strategy ideas, but I almost roll my eyes: they have big budgets, lots of writers and I would never be able to do what they've done. ArcStone is a team of 20 people, with six to seven members occasionally writing a post for the blog and two people strategizing on it and one person implementing and overseeing publishing. Before starting our blog revamp, we had been posting maybe two to three times per week. As a marketing agency, we understood the value of content marketing, but we just weren't allocating the energy we needed. Whenever someone on the team had a spare moment, they'd spin something up that they felt like they could write about. We weren't really monitoring which posts were working and which weren't. We intuitively understood our audience and considered them in choosing our topics, but that was the extent of our strategy. We had around 600 blog views May 2015. Spoiler alert: compare that to two years later, May 2017, we had 2,300. That's nearly 4x the amount of traffic! But we'll get to that later. 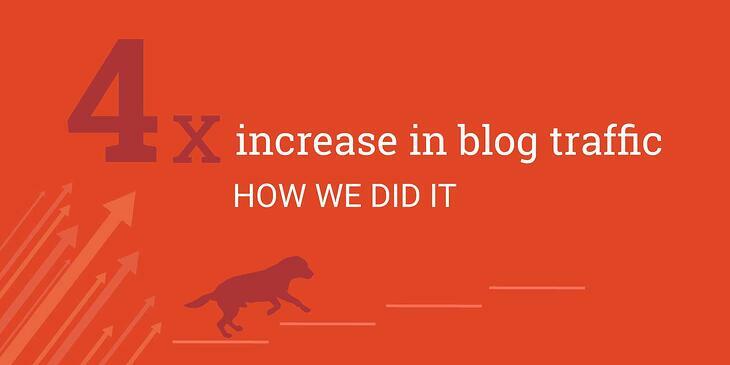 You can't just tell your team you want them all to blog more. Nor can you expect results if you are blindly posting when you have time. You need a strategy and then you need the tools to execute that on a daily basis. Goals: To start this out, digital strategist Jenna, sat me down explaining the current state of the ArcStone blog, where she'd like to see it go and what we were going to do to get there. This included a committment to writing five posts per week, for six months and to be patient with results. We also discussed promotional ideas, how we would measure success and long-term goals. Audience Personas: We talked through our audience personas, discussing details of what they were looking for when coming to our site and what we could deliver. This is the general workflow we used to do so: Audience Persona Development Infographic. One Manager: Rather than having several people actually manage the blog, we picked a point person (me) that would oversee the day-to-day management and ensure there were always posts ready to go out. This person was also to serve as an editor, keeping the tone and aesthetic consistent between all the various writers. 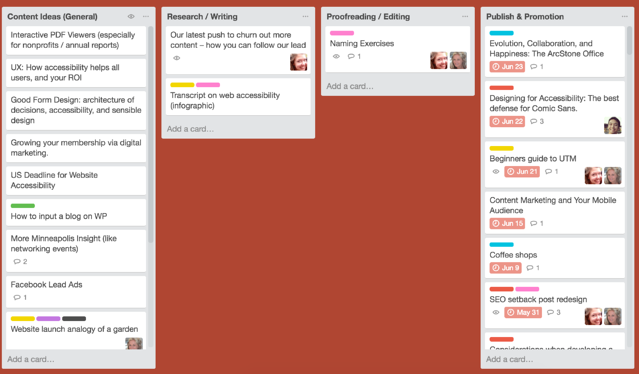 Content Management Tool: For content management, we implemented Trello as it was easy to use and free (it's now our go-to tool). We mapped out our ideas in one column and then moved them along from each phase—research to writing, proofreading and finally publishing. a. 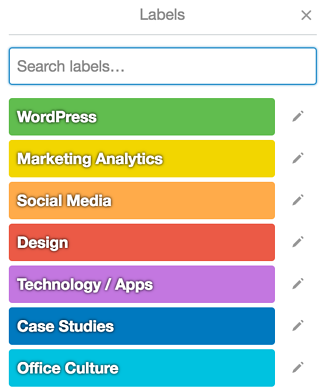 Categories: To ensure we were hitting on a full spectrum of content types, but not getting too off topic, we assigned labels to each blog topic, color-coding our board. b. Due Dates: We gave each post a due date to hold ourselves accountable. Before doing so, we were guilty of putting writing on the backburner. c. Collaboration: To get the rest of the team's thoughts and expertise, we would tag them on a card and either have them write or proofread posts. Promotion: We recognized that, until organic traffic started doing some of the work for us, promotion was vital to seeing results. 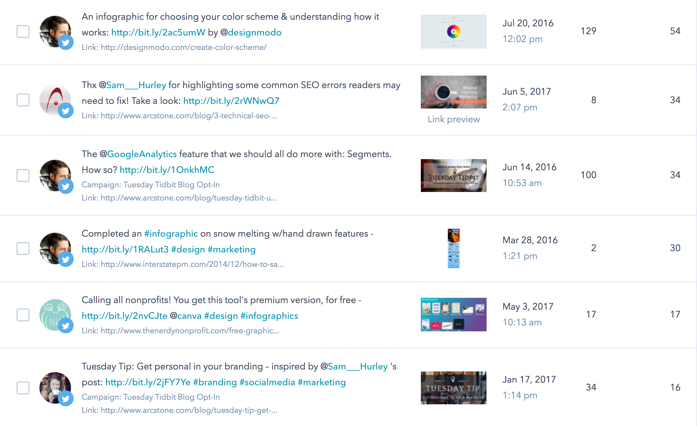 We started sharing our posts via Hubspot's Social Publishing and Email tool. For Twitter and LinkedIn, we used not only ArcStone's account, but also a few staff member's; this helped show we were real people, trying to help. Twitter has demonstrated the most useful: we'd post 3-4 times per day on each account, also attempting to interact with other active users. We also used Google+ and Facebook when appropriate, about once per day. Analytics: Besides consistent posting and sharing, we've been checking in as a team about once a month, covering what posts are ranking high, what topics we're missing and how we plan to improve. This always results in a nice little uptick of energy, helping us stay creative and accountable. Commitment to reinvention: Though this has been working for us, we are still commited to reinventing the wheel. 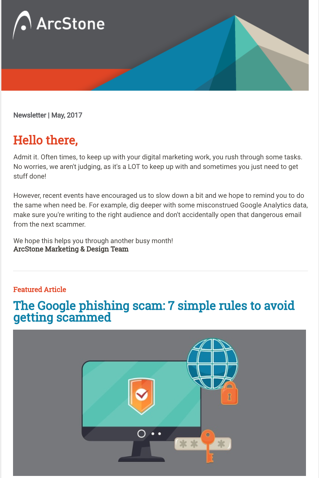 For example, we just redesigned our email newsletter template to match that of our blog, we scheduled out two content campaigns we've never tried and we planned a redesign of our CTAs and workflows. Not all of the following improvements can be contributed solely to our blog strategy, but seeing as this was the only aspect of our site that we consistently updated in the last two years, we attribute a majority of it to our content strategy. The biggest lesson we learned through this process is there's quite a balance to strike. On one hand, one of the hardest things to accept about content marketing is that it takes time. If we'd had only tried this out for a month or even a few, we wouldn't have seen any results. We gave our content time to build on itself, even when there were posts we'd spent hours on that weren't seeing any traffic. On the other hand, it takes a lot of energy and resources to keep this going. So you can't be too relaxed about it or you risk losing your stamina. You have to hold yourself accountible and continually seek out quality content, strong promotional tactics and new ideas. We also learned you have to come up with a strategy that is realistic, working for you and your team. There are a lot of posts out there with awesome ideas, but you have to assess what you have to work with and go from there. Need help? Let us know. We work with companies every day to improve their digital strategy.